Well, it it turns out Starbucks isn’t the only American import getting in on the cherry blossom craze! (Gotta love their Sakura Lattes and Cherry Blossom Frappuccinos!) Everyone’s favorite burger producing mega-corp has joined the fray with Sakura drinks AND burgers, even going so far as to dye the bun pink. They’re not messing around here, folks! This…is…SAKURA! 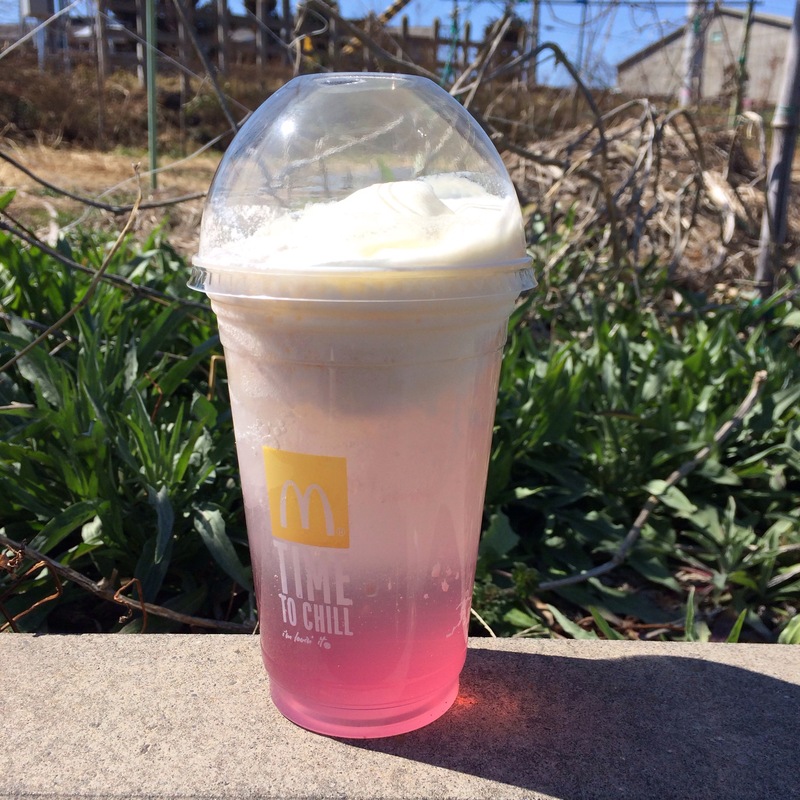 First off the Sakura Fizz Float is frankly delicious. Your basic Sprite is all dressed up in Springtime finery with the addition of a lovely pink syrup flavored with both cherries and cherry blossoms. If you’re feeling lux you can add a topping of soft serve to really fancy things up. It’s sweet like candy and garunteed to give you a super springtime sugar buzz! How can you not feel like winter’s icy grasp is finally fading from around your neck? 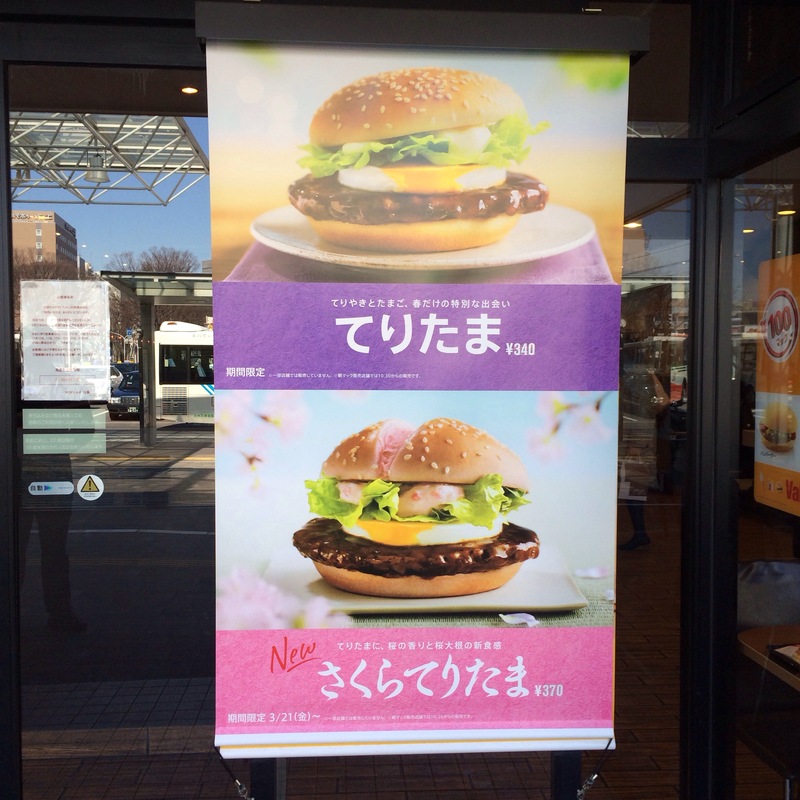 The Sakura Teritama burger is a little less successful, though still tastier than most of McD’a offerings. 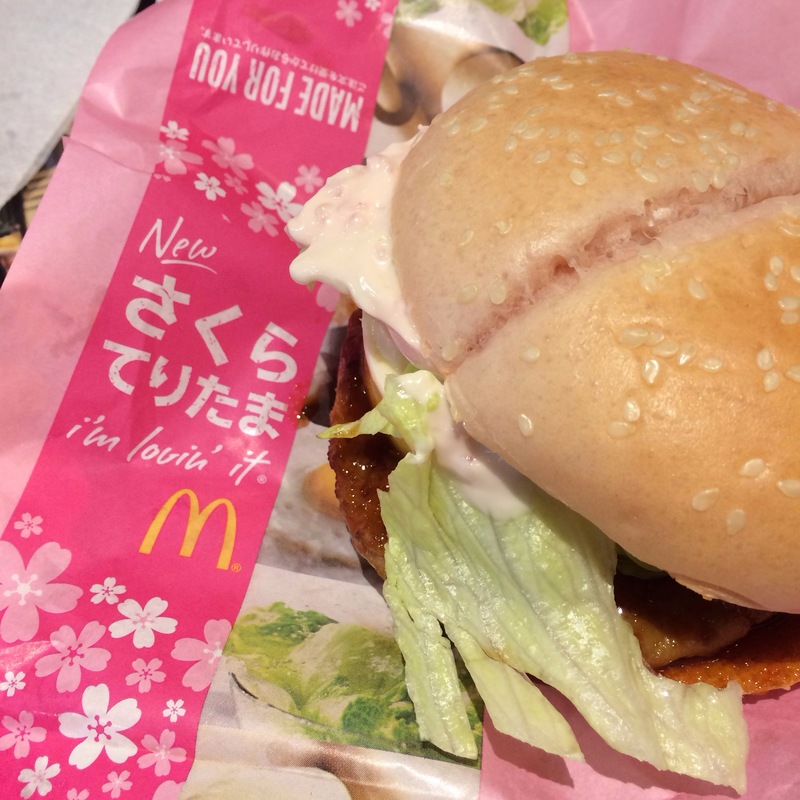 A pork sausage patty is drenched in teriyaki sauce and then Sakura flavored mayo (not making this up, I promise) before being graced with a delicate pink bun (seriously not making this up.) Mine wasn’t quite as pink as the poster, but I’m ok with that. It comes with a classic Mickey D hockey puck of an egg, and while some Americans balk at eggs on burgers, I really recommend it. Otherwise the teriyaki sauce and the Sakura mayo, already duking it out for saucy supremacy, will be locked in a death match leaving no survivors, especially not your tongue. My verdict: get the Sakura Fizz Float because it’s delicious, get the Sakura Teritama because it’s ridiculous (did I mention the bun is pink? The BUN is PINK. Pink!) And the Sakura are just about here, so ENJOY SPRING, MOFOS. Have you tried any of these offerings? Do you want to? 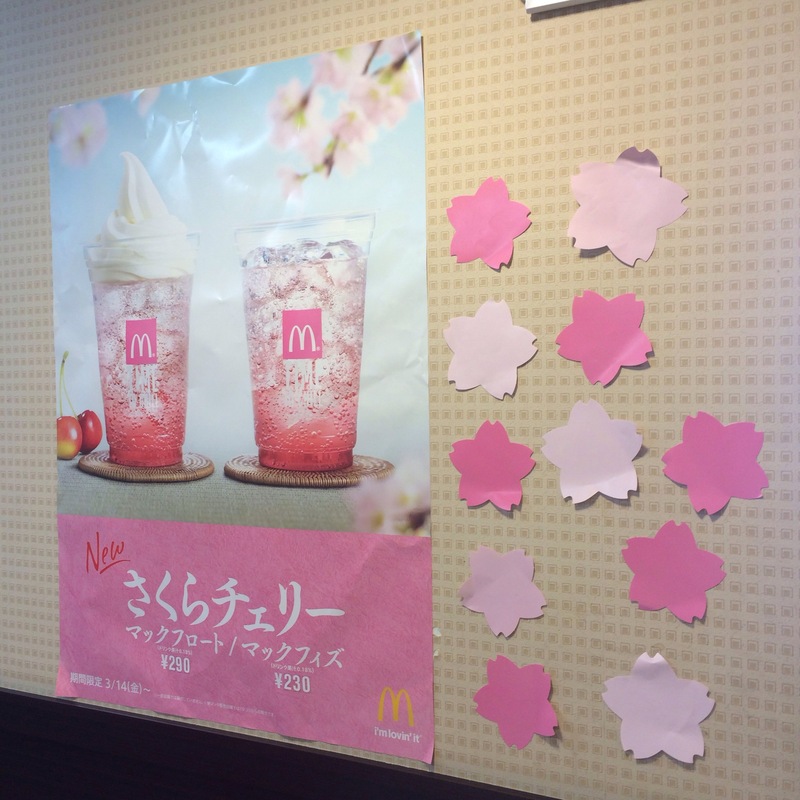 Don’t forget to tell your friends that McDonald’s Japan may have lost it’s cherry blossom loving mind! This entry was posted in Food! 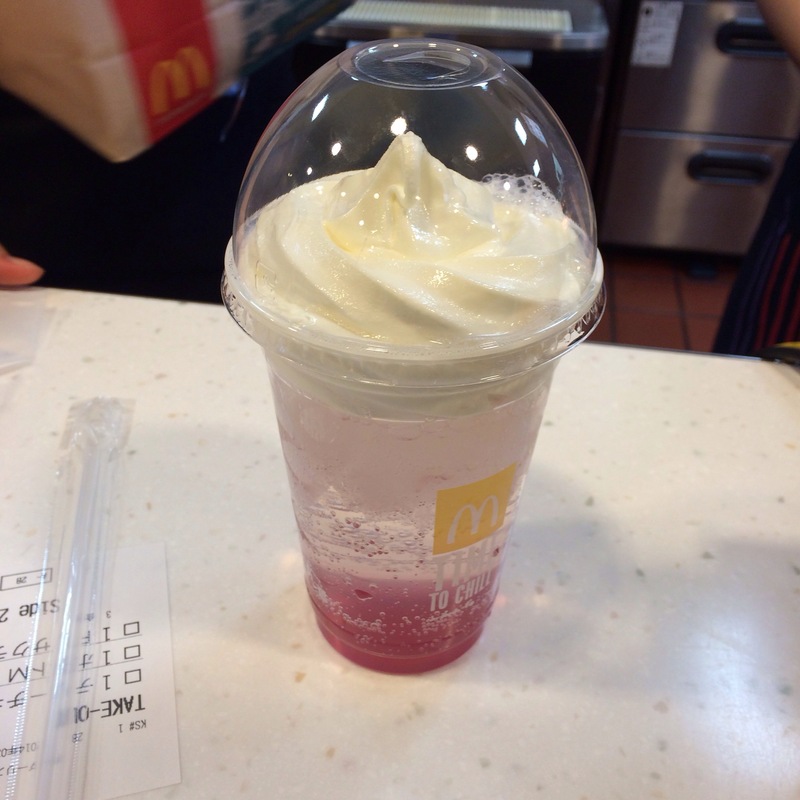 and tagged cherry blossom, McDonald's, pink, Sakura, sweet. Bookmark the permalink. 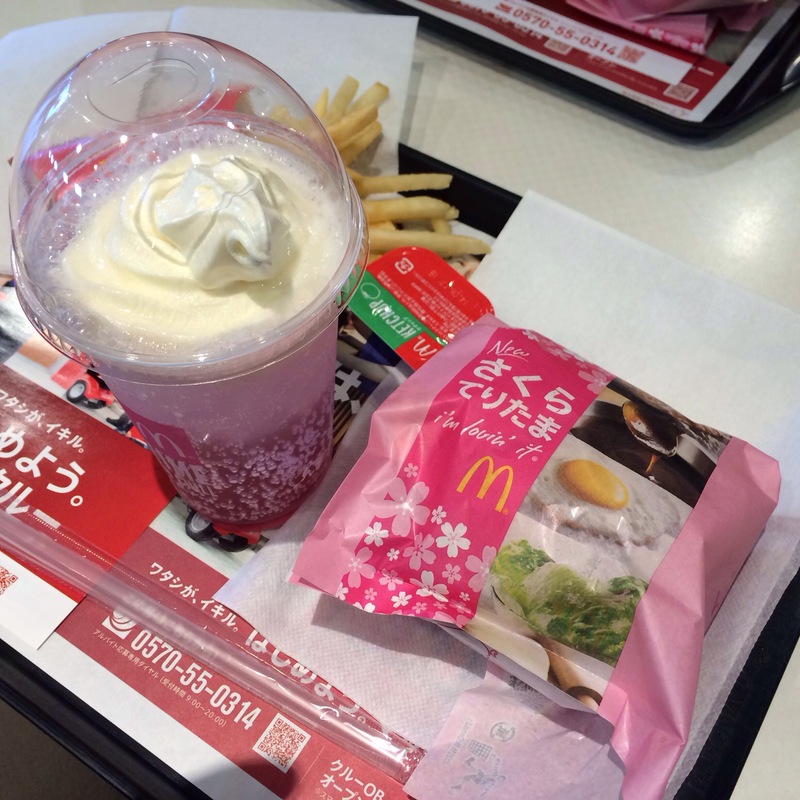 Yeah, I was less than impressed with the burger, but the Sakura cherry McFizz can stay. I live vicariously thru these excellent posts! No kidding, a pink bun? I love the pics of the pkging too! Would love to try the drink. Thank u!